I’m not saying this is a good idea and I’m certainly not saying anyone should do this. Certainly, I wouldn’t recommend letting any of your colleagues get hold of the device once it’s built. In fact don’t do this at all. But here’s what it looks like if you did make one. Which I did. For…science? Excuse the sunburn and several test burns there. Oh and probably my language. So how did I go about doing this? 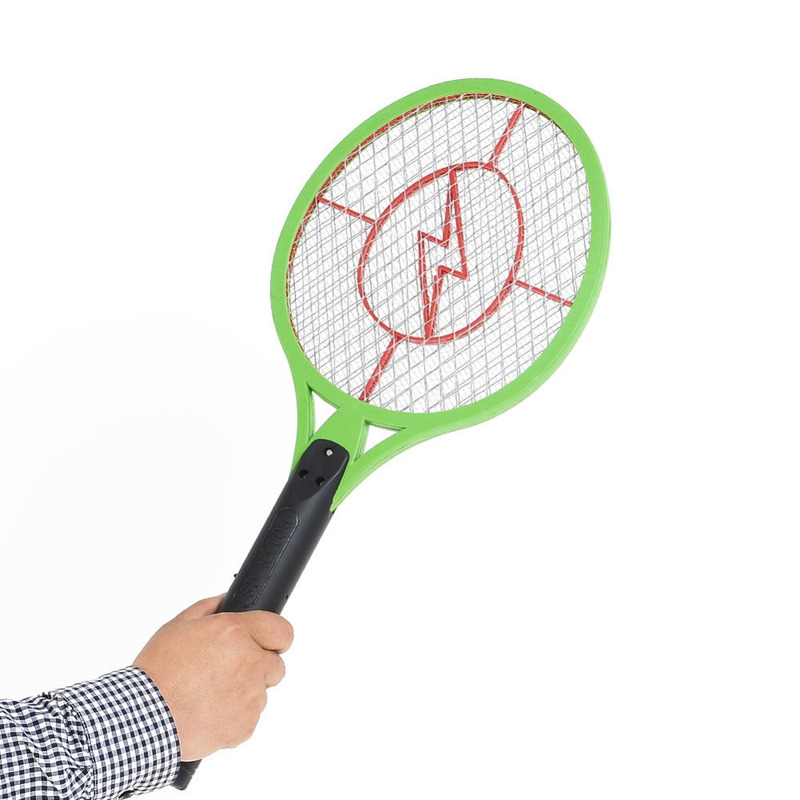 Well you know those mosquito/bug zapper rackets you can get to swat bugs out of mid air? Well if you crack one of these open and take a gander, you’ll notice that connecting the main circuit to the dangerous end of things 3 wires. 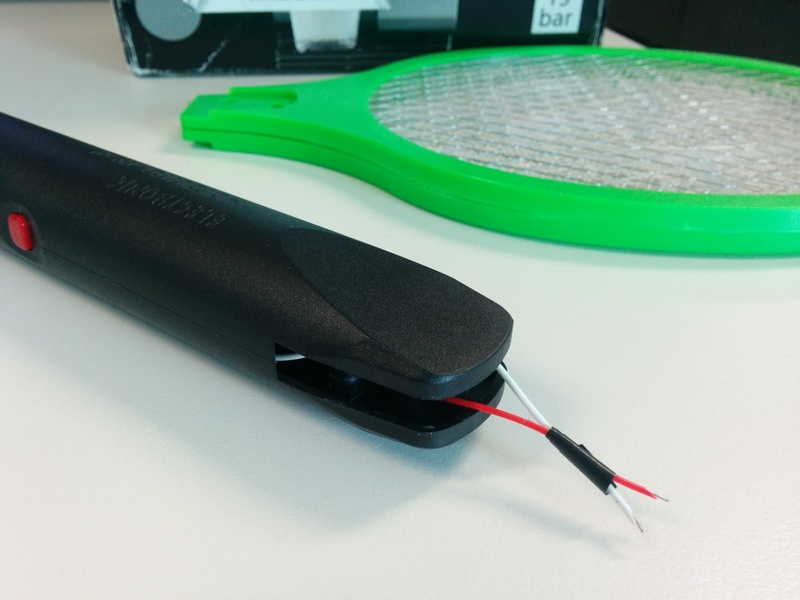 One neutral wire connecting to the center layer of the racket and 2 positive wires connecting to the outer mesh of either side of the racket face. 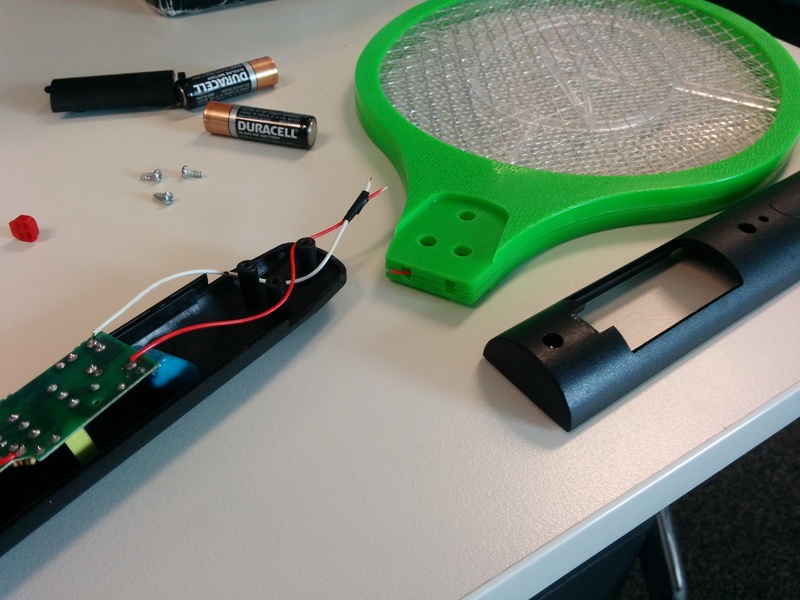 We only really need one of those positive wires, so I’ve removed one and then cut the remaining wires away from the head of the racket. 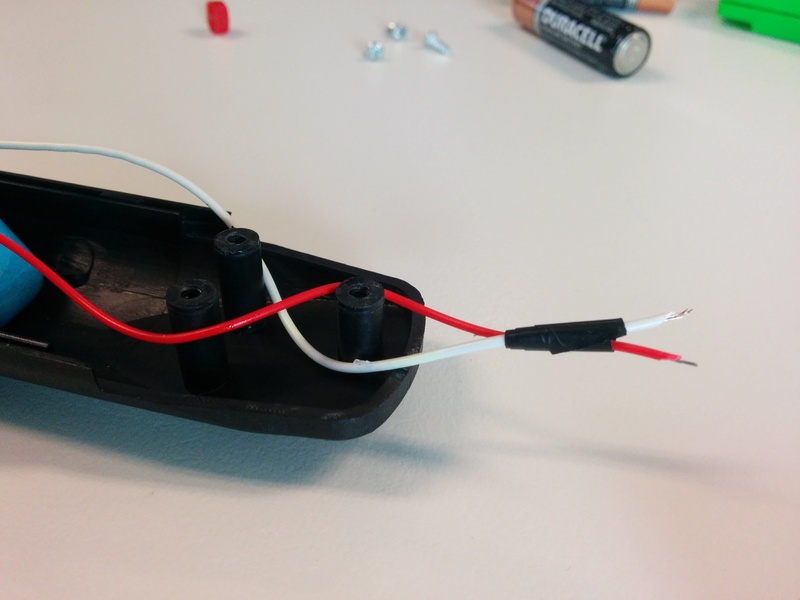 Strip some of the insulator away from the ends of the wires and tape them together but leaving a little gap between the 2 exposed ends. Obviously the next step here is to reassemble the handle. As you can see in the above picture I’ve routed the cabling in a roundabout kind of way. Mostly because I was bored. So very bored. But it seems to have assisted in keeping those exposed end bits apart as well. I could be imagining it though. I fell asleep several times while doing this. You should now be left with the following zappy stick. Simple operation really. Press the little red button to build up a charge. The longer you hold it down, the bigger the zap. Then don’t find a victim and don’t tap the exposed electrodes on a nice patch of bare skin. You get the idea. The moment both the electrodes make contact with your victim, the caps discharge and you give them a nice shock. Won’t make you cry, but isn’t exactly pleasant. As I said at the start, don’t build this thing. People can’t be trusted with it. I only built it because I was suffering from super aggressive levels of boredom. Anyone hiring?….for anything?….send help….so bored. Next post …But My Robot Says I’m Hot!